To be frank I would have never imagine myself travelling all the way to the West for Zi Char not to mention an ulu location nestled in the Bukit Batok industrial area. Who would have known that there is a coffeeshop with a zi char stall which is only opened for around 2 weeks during my visit. 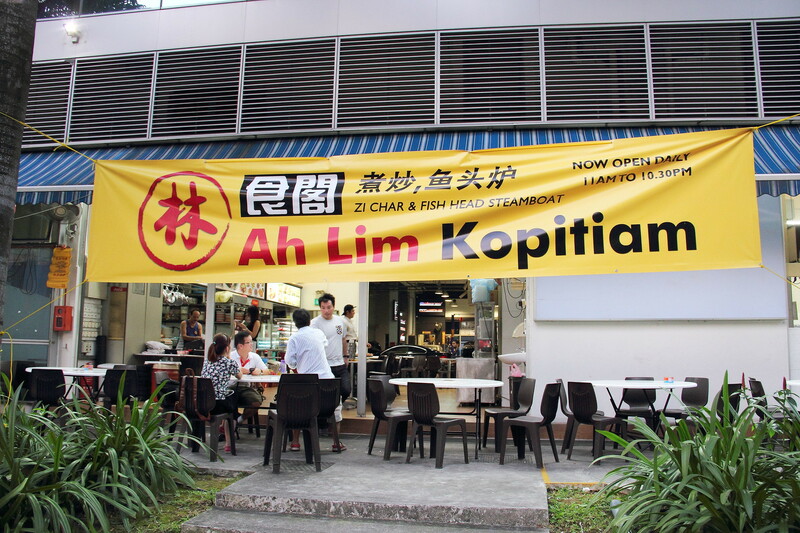 The location of Ah Lim Zi Char & Fish Head Steamboat actually felt a similarity to Sin Min industrial area with eateries opening in the area in recent years. Dinner started with Ah Lim's signature Fish Head Steamboat (market price) using charcoal fire. 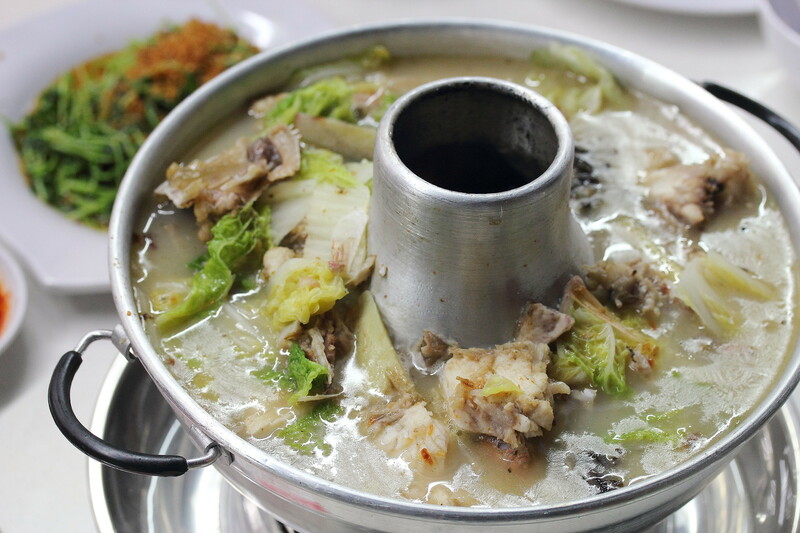 While the soup is packed with the vegetable sweetness, all of us felt that it is lacking the robustness that we are seeking for. Compare to popular fish head steamboat like Whampoa Keng and Nam Hwa Chong (Ah Chew), this fell short of my expectation. Nevertheless this place is opened for only two weeks, probably a little more adjustment and fine tuning they should be good. The Homemade Golden Mushroom Beancurd ($12) was much better. 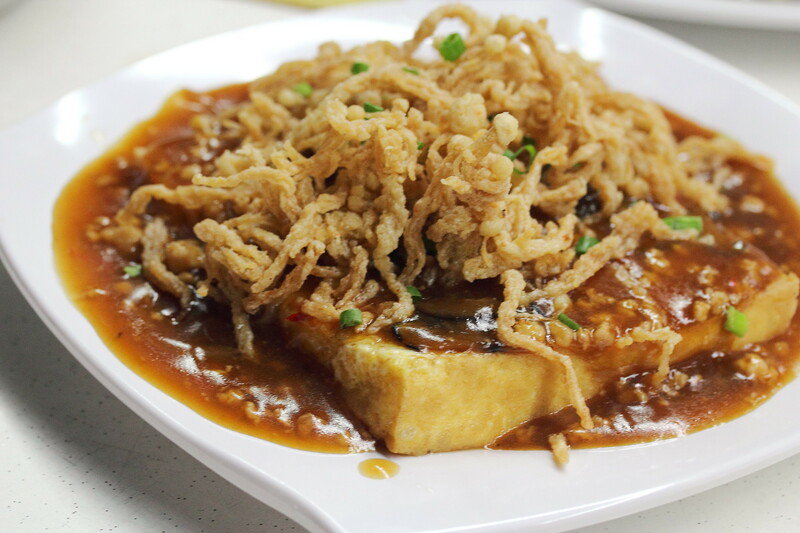 The star has to be the silky and smooth beancurd. For me the golden mushroom is purely gimmick but it did give the dish an extra crispy bite. I thought the Crispy Chicken with Plum Sauce ($22) was quite unique in its own way. 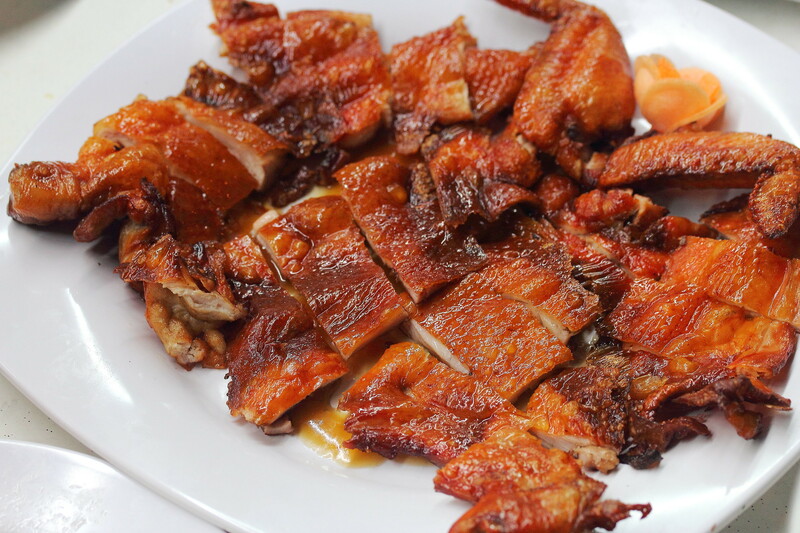 The delectable crispy chicken skin is like an interpretation of suckling pig or Peking duck. However I thought if the marination for the crispy skin could be stronger or tastier it would be even better. The inconspicuous Fried Five Spice Pork ($10/$15) has a familiar homely taste that I could not really put a picture or word to it. The combination of the aromatic spices together with the layer of fats simply melted my heart disintegrate in my mouth. While I applauded the thought behind the Salted Egg York Crab (market price) to showcase the freshness and natural sweetness of the crustacean, the salted egg york flavour was hardly noticeable. 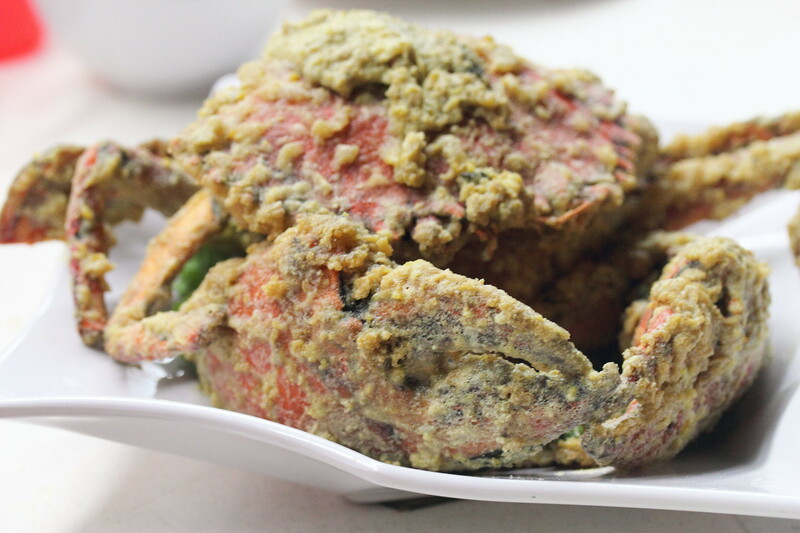 Having grown up with the saucy chilli crab and pepper crab, a good sauce has become an important criteria to determine a good crab dish. I still think Singaporean will still prefer something that is more saucy to encompass the sweetness of the crustacean. 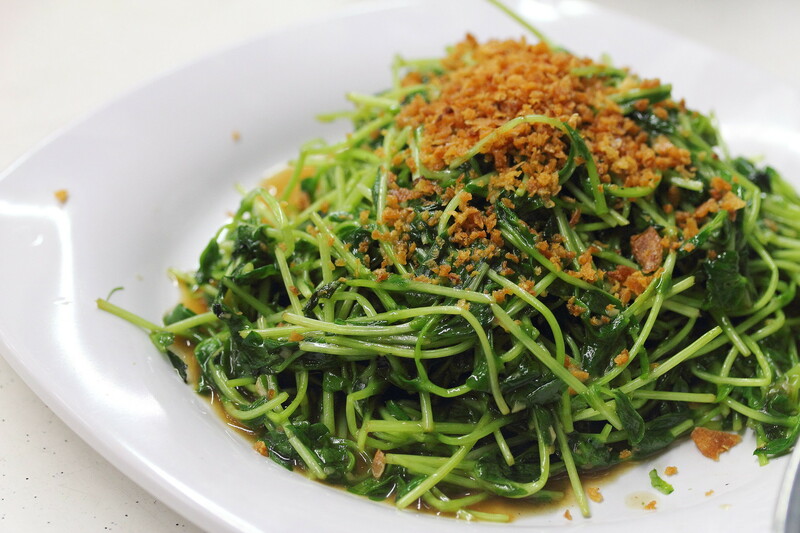 The Stir Fried Dou Miao with Fried Garlic demonstrates the wok skill of the chef. It was cooked to perfection with the greens retaining the crunchiness. I like having the fried garlic giving it an extra aroma boost. 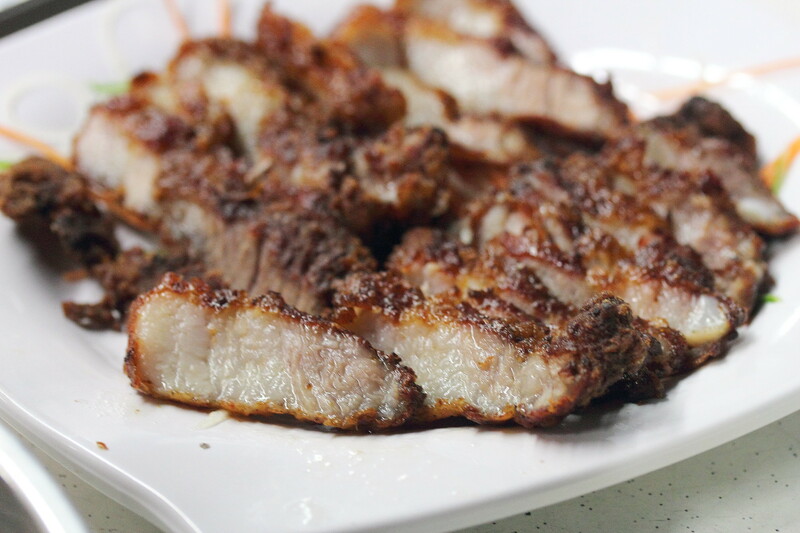 A must try at Ah Lim Zi Char is the Braised Pork Belly ($15/$20). 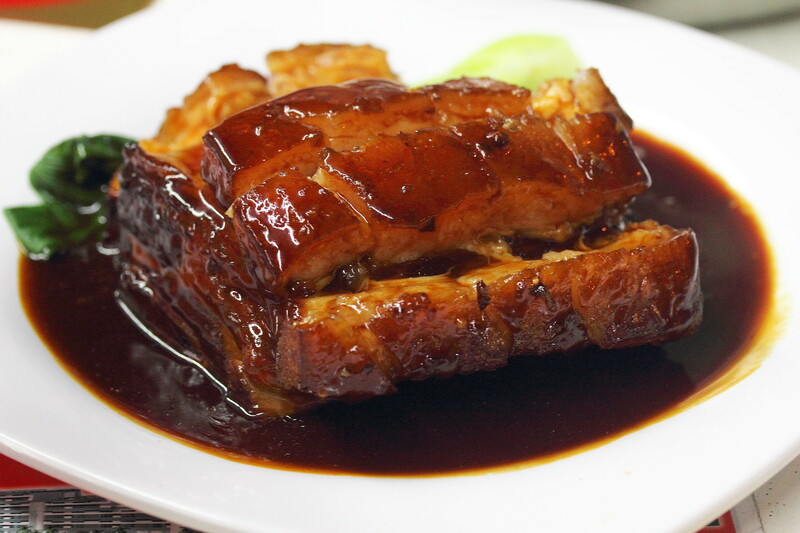 The gorgeous looking collagen packed pork belly glazed with honey was melting delicious. As this takes long hours to cook, each day only limited amount is available. If you want to savour this and not to be disappointed, it is better to pre-order before your visit. The other worth ordering dish is the Thai Sambal Chilli Fish (market price). 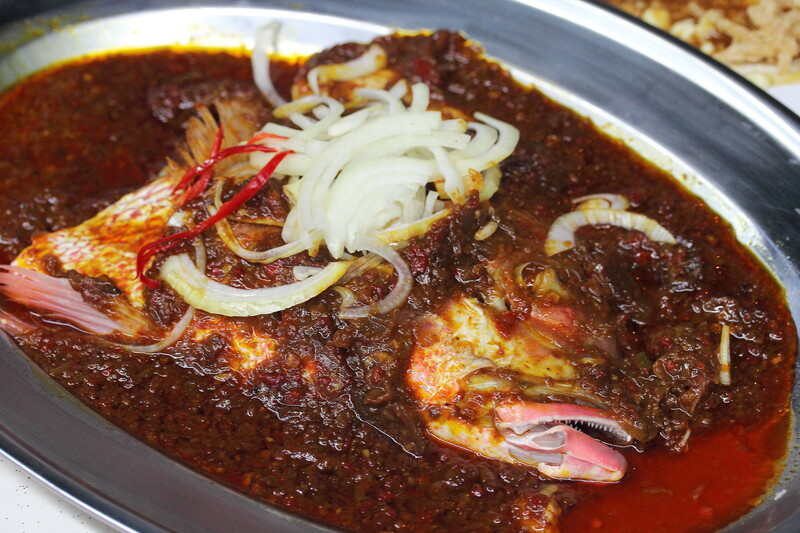 Fresh red snapper fish head cooked in a delectable Thai sambal sauce that not only worked harmoniously, it also accentuated the taste of the fish meat. Being only opened for two weeks, I have not set my expectation high as I understand it will take them sometime to settle down. Saying that, they did manage to delight my palate with the execution of the Braised Pork Belly and Thai Sambal Chilli Fish. The zi char stall has since changed owner and cook. Although it still retain the signboard, the menu is totally different. Normal zi char fare, nothing fanciful, can give it a try, but probably not return for 2nd round. Thank you for visiting the site and taking your time to update me. Greatly appreciated.